Free-form swimming pools are not your average pools — they make it look as though you have a pond, small lake, or lagoon in your backyard instead of a standard swimming pool. With help from Summerhill Pool’s experts, you and your family can have a naturalistic-looking pool to spend hot summer afternoons in Texas. We offer a wide range of free form pool designs for you to choose from. Contact us and learn more about all the beautiful design options for your free-form swimming pool! At Summerhill Pools, our pool experts can help you choose from a variety of free-form pool options and create a design that has everything you could want in a swimming pool. Summerhill Pool designers will custom fit a free-form pool in your yard that fits perfectly. One of the benefits of free-form pools is that they can make yards with a more boxy shape look larger. If you have a smaller yard, a free-form pool that provides plenty of swimming space without requiring a great deal of yard space is a good option. Freeform pools aren’t limited in terms of pool shape, so you can choose a design with as many curves as you want. Freeform pools are meant to resemble natural bodies of water, so don’t expect to have a perfectly round or oval shape. Your free-form pool can have more of an L shape or a kidney shape to it with slight or more pronounced curves, or it can have a wider, more oval shape with a few softer curves. It can also have a highly irregular shape with many curves placed at odd intervals for a more visually striking appearance. Freeform pools can be enhanced with custom water features. Since these pools are meant to look like ponds and other natural bodies of water, there are several custom features that can be added to your free-form pool. For example, you can add waterfalls, rain curtains or sheers, rock slides, or rock walls. These features make free-form pools look stunning and add to the naturalism of the pool. If you’re looking to add elegance to your pool, consider adding sconces, flowing water bowls, or fountains to it. These features add a touch of luxury while still providing you with a naturalistic pool. If you’re not quite sure what kinds of water features you would like to add to your free-form pool, our team will go over all of your options with you. Let our experts know what type of look you’re going for and we’ll help you choose the perfect design. 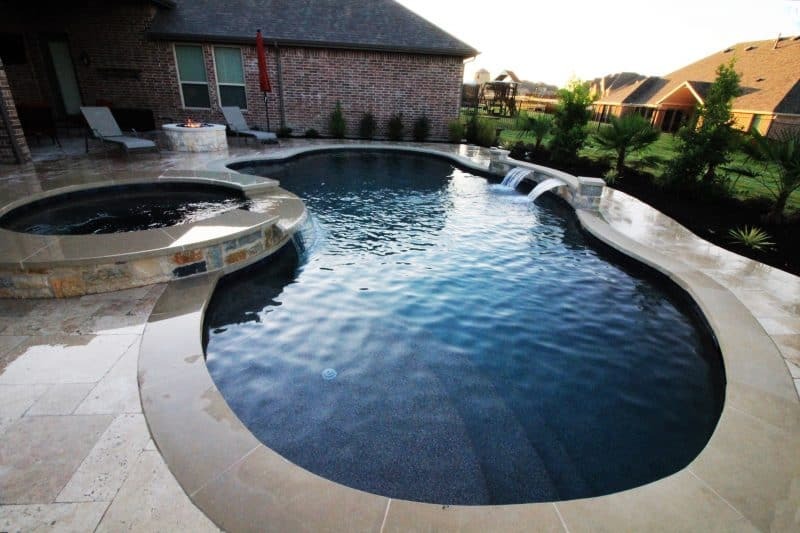 Freeform pools are a smart investment for your Dallas home, but only if you hire builders with the extensive knowledge and skills needed to build them correctly. 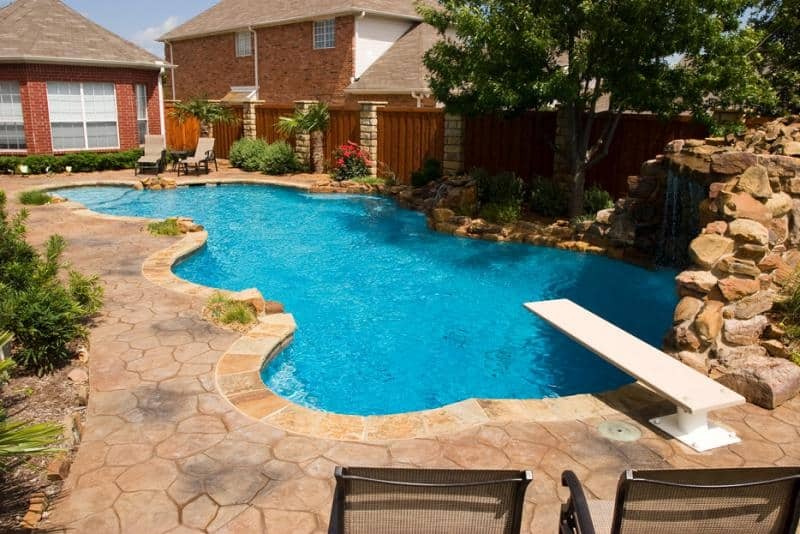 When you need a free-form pool builder in Dallas, contact Summerhill Pools. We have many years of experience designing and constructing free-form pools in the Dallas area. Our team of pool builders knows how to construct a free-form pool that’s built to your exact specifications, no matter how irregular the design is. Due to their natural shape and curved features, free-form pools can be more complex to build than standard or traditional pools. That’s why it’s important to make sure that you have a pool builder with expertise in designing and constructing these types of pools. Our pool experts also know how to come up with a free-form pool design that will fit your yard well. When you’ve decided to go with a free-form pool for your yard, you can trust the pool builders at Summerhill Pools to provide you with a finished product that you’re happy with. We pride ourselves on creating and building naturalistic pools for homeowners throughout the Dallas area. Let’s get started – contact us today!